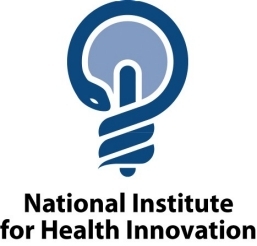 The National Institute for Health Innovation (NIHI) is a leading New Zealand research institute situated in the School of Population Health on the University of Auckland. The focus of NIHI research is on the prevention and management of common serious diseases, and on provision of effective health care. In 1989, with the growing burden of complex long term conditions driving demand for health care around the world, the need for a world class collaborative research centre, led to the establishment of NIHI. With skilled health professionals and funding increasingly in short supply, the need for new, innovative approaches to prevent disease, and to provide up-to-date healthcare has become urgent. To have the best possible chance of success, strategies must be underpinned by robust evidence of effectiveness, value and equity. To achieve this, NIHI collaborates with many local and international universities, clinicians and healthcare providers, policy makers and commercial partners. NIHI research programmes focus on addictions, nutrition, physical activity, heart health and health technology. The NIHI carries out research on effective delivery of healthcare, technologies to support care delivery, and approaches to the prevention and management of chronic disease states. For more than twenty years, the NIHI has been at the forefront of health research in New Zealand and also internationally.